Reprinted by Hoffman, Old St Nick is back. This leaflet contains the patterns for 6 Santa ornaments. 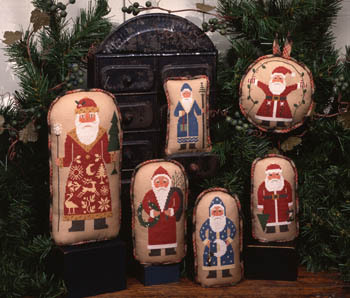 Models were stitched on 32ct Sage Jobelan, but these santas will look lovely on any background.